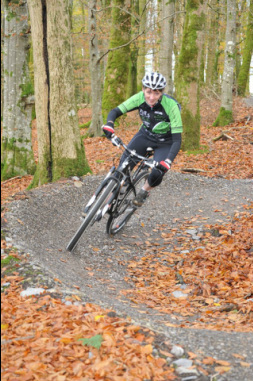 This Beginners MTB skills course is a 1 day course where we will take you through the basics of body position on the bike and balance and combine these with technical elements such as gearing, breaking and steering so that by the end of the day you should be safely riding singletrack trails (narrow forest tracks) with newly found confidence and speed. The course lasts approximately 4 hours and is held at the following venues: Belfast (River Lagan), Craigavon Lakes, Gosford Castle. We offer personal 1-2-1 and private group day sessions, or click on our Events Calender to check out where our next open Beginners day is and BOOK NOW.